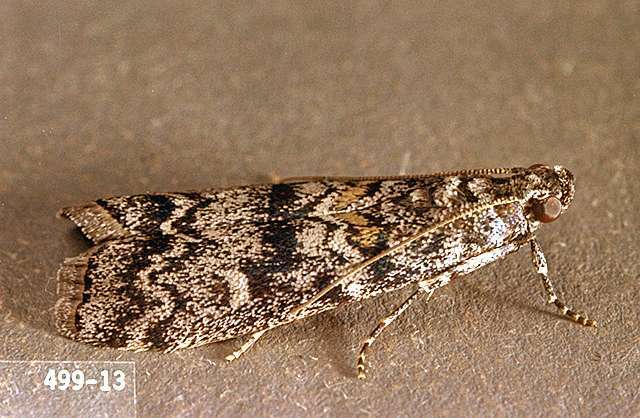 Pest description and damage Adult coneworms are mottled gray snout moths banded with subtle colors. 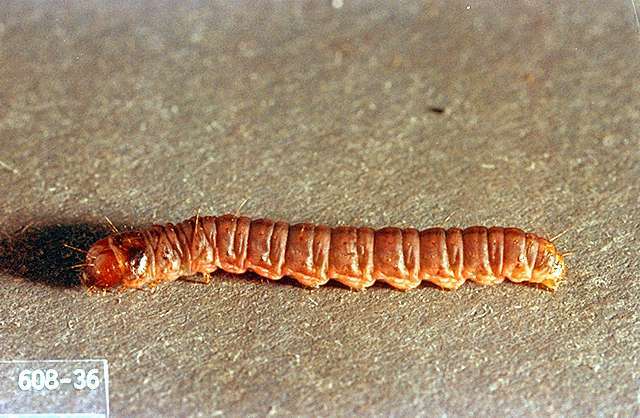 The coneworm larvae are small and cream-colored or light brown with a darker head. 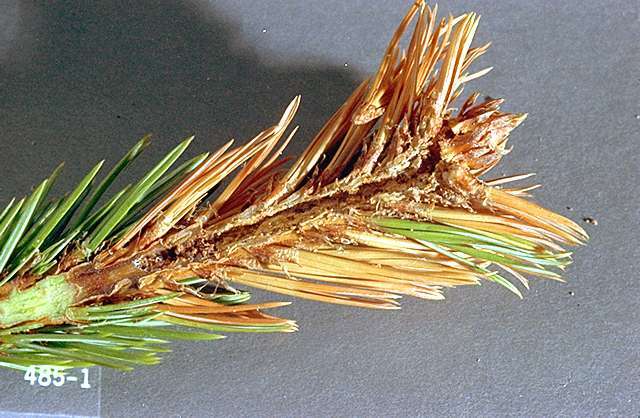 Coneworms attack true firs by boring into shoot tips or stems, especially around wounds, and feeding on the soft bark tissues. The portion of the branch beyond the injured point may die back. Coneworms also may bore into green cones, feed on the soft bark of young growth, or feed inside the bark on the trunk cambium. There are many species of Dioryctria which feed on different parts of small plants, trunk and shoots as well as cones.